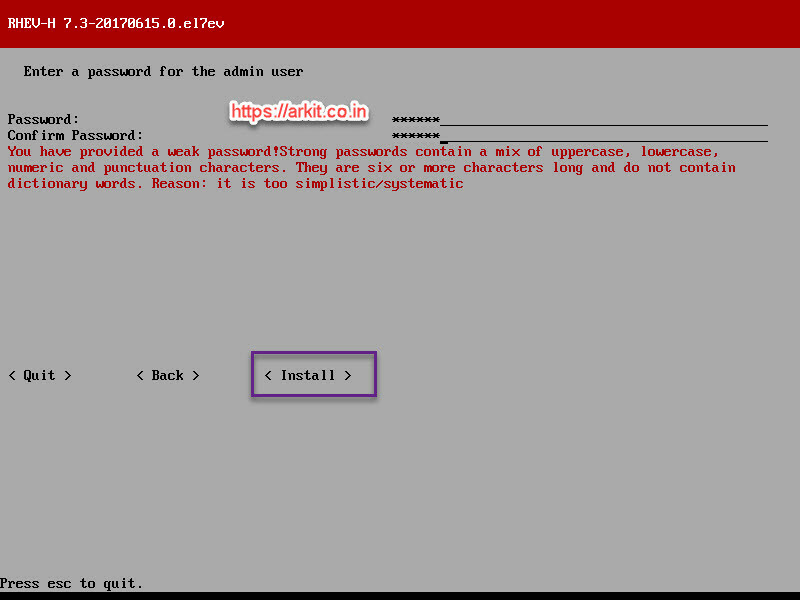 This before we posted an post about RHEV-M (Red Hat Enterprise Virtualization Manager) Here is an Continuation post for Installing Red Hat Enterprise Hypervisor Host. Manager is used to manage multiple RHEVH (Red Hat Hyperisor Hosts). 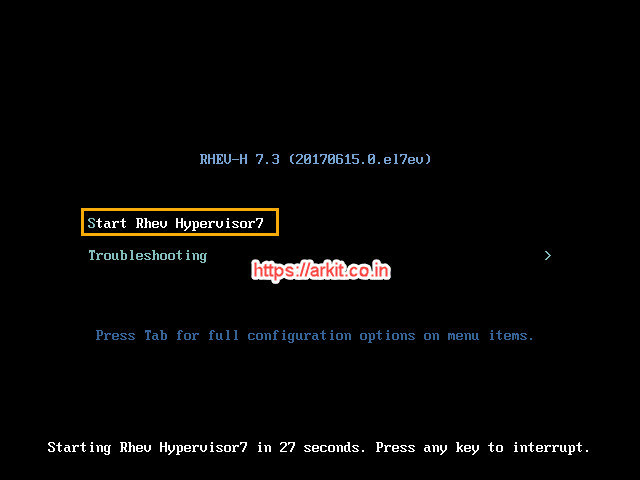 In this article we are going to see HowTo Install RHEV Hypervisor Installation Step by Step Guide. Hypervisor we can also install in RHEL versions but installing direct ISO will give to optimized environment and less performance issues. Hypervisor Operating System is fully optimized and runs only required services. Your branding “https://arkit.co.in” in the middle of the screenshots is a distraction. Suggest that you put it in a less busy part of the screenshots e.g. lower right corner of the images. Hi Ark, I am not able to download the Hypervisor 7.3. Could you please guide me which iso will work. Please confirm RHVH 4.1 will work as hyper visor. 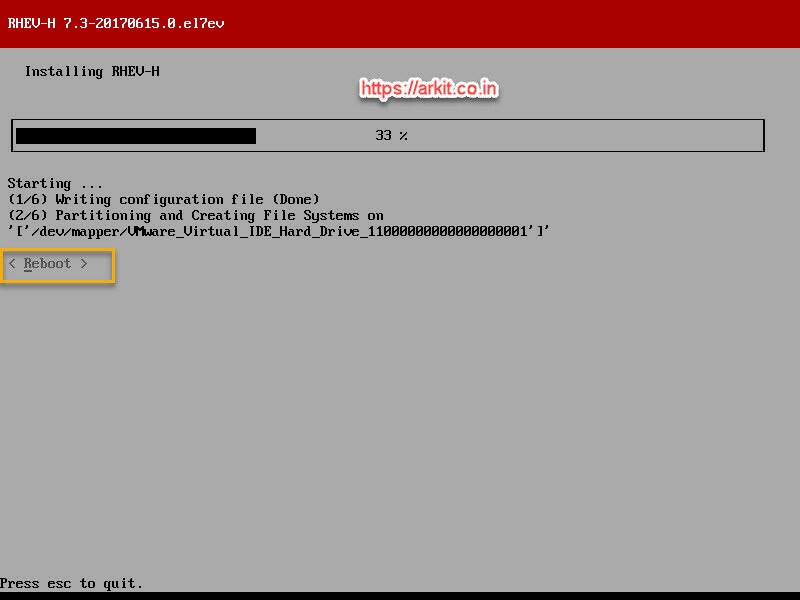 how can i download rhev-m for offline installation. Hi Ark, Thanks for your response. i have downloaded the RHEVH 4.1. But as per given instruction the process of installation is different. you have installed the RHEV-H 7.3 hypervisor in which you are able to login from admin or able to configure all the stuff. in 4.1 Hyper visor you get different look. i am bit confuse here. please guide me. Hi Ajit, Just look at my post i have published how to add RHEVH 4.1 into RHEVM. 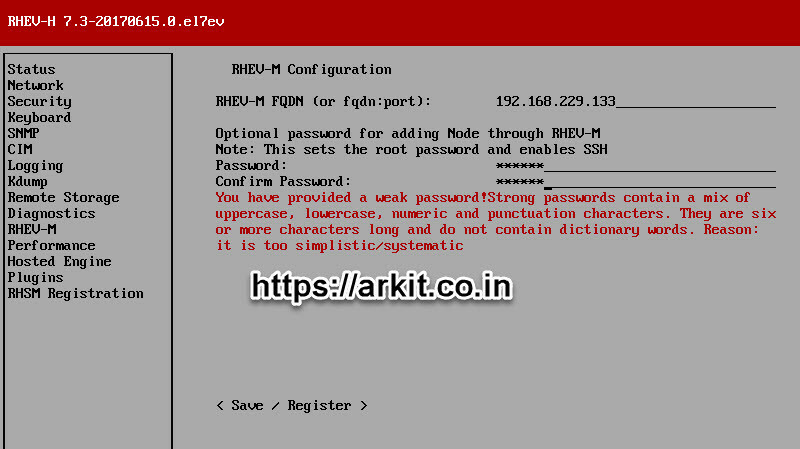 its so simple login to RHEVH http://RHEVH-IP:9090 https://arkit.co.in/rhev-h-4-1-installation-step-by-step/ To add to RHEVM just login to RHEVM web console –>hosts–> add host provide details.